Needed a box for remotes. The occasional diaper stash. 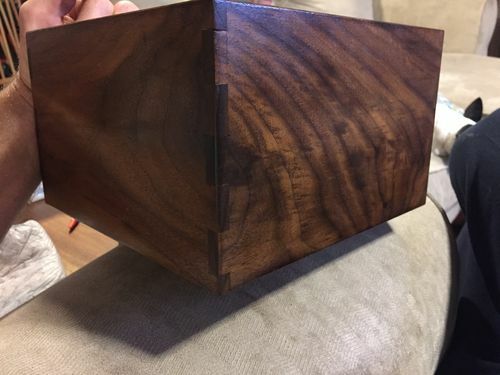 Had some 1/4” walnut and maple panels laying around. Waiting to be used. So here it is. Not much to it. Walnut and maple. Needed to practice some dovetails. Finished with super blond shellac and some no slip pads to keep er in place. The box is nice Fridge. Not as nice as that leg in the pic, but nice. Nice job, now adays there’s so many remotes you need a place to keep them organized. 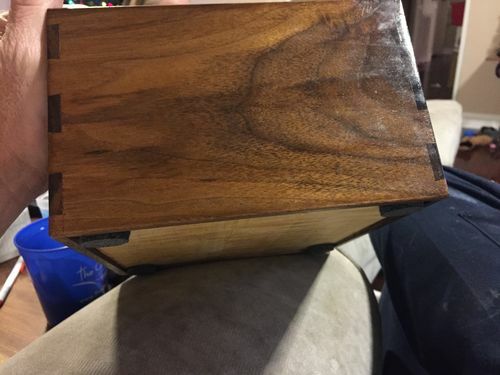 Box for the remote…LOL…Good cover! 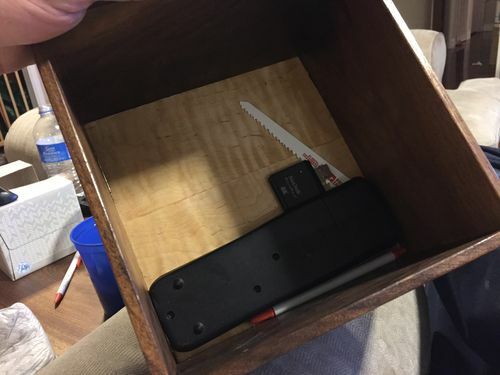 Looks like a storage box for saw blades. Next thing you know it will be in the shop filled with odds and ends drill bits. Never know when you need a good wood cutting sawzall blade :) for the kids of course. No slip feet? Lots of friction when docking a remote. 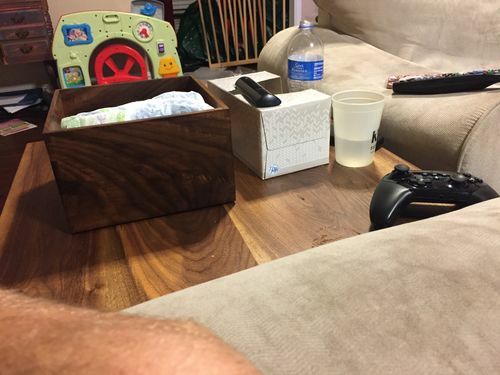 That box is way too beautiful to just be holding remotes. You did a good job there mate – you’re going to have a house full of really amazing storage boxes one day.